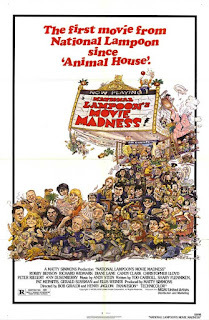 National Lampoon's Movie Madness movie was a waste of time to watch. The movie is broken up in parts and each part makes completely no sense. Its more or less like the Twilight zone with no major plot to go on. I would not recommend this movie to anyone. What I found most interesting about the movie was the introduction sequence. 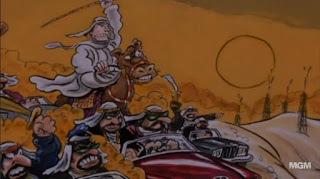 It was a series of pictures drawn like a comic book, that has very interesting parallels to whats going on today with our conspiracy theories, and terrorist attacks. I will show you a couple of these shots that I found. 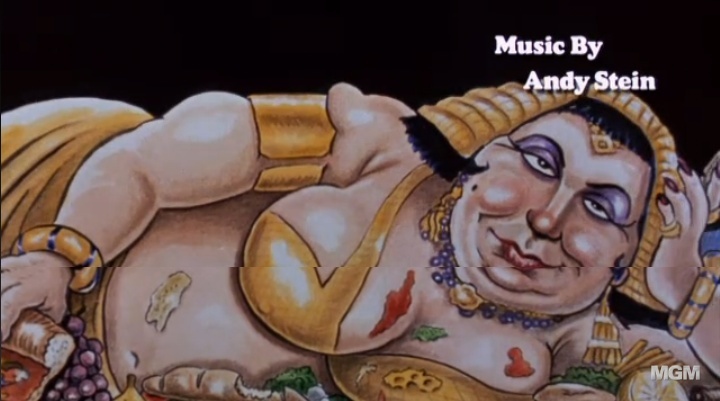 This first picture shows a fat Egyptian princess of some sort that is over indulging herself with snacks at the movies. Look at her head dress...is that the Masonic compass and square? You be the judge, she is also wearing some very interesting rings on her hand, I cut the image off there by accident, so you will have to watch the movie to see her wide array of rings. This is very strange. 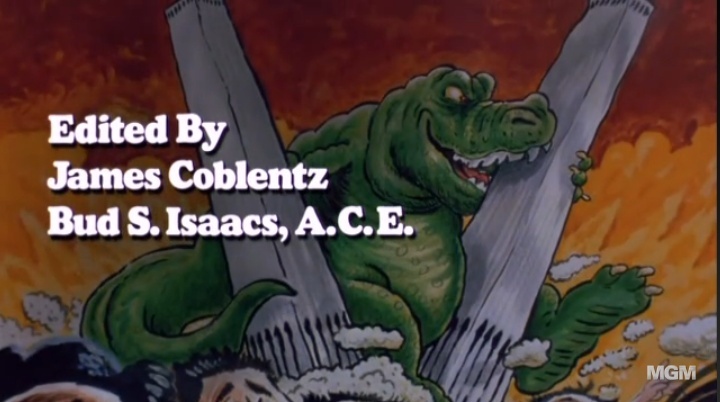 In this picture it plainly shows the twin towers being brought down by Godzilla. You can see dust plumes coming from the bottom of the tower, and below the captured image it shows people running for there lives. Its very weird that this movie used this image to represent mass chaos in 1982....The movie Godzilla later in 1998 mentions September 11th to a tee and even the twin towers falling! This is indeed very very strange. 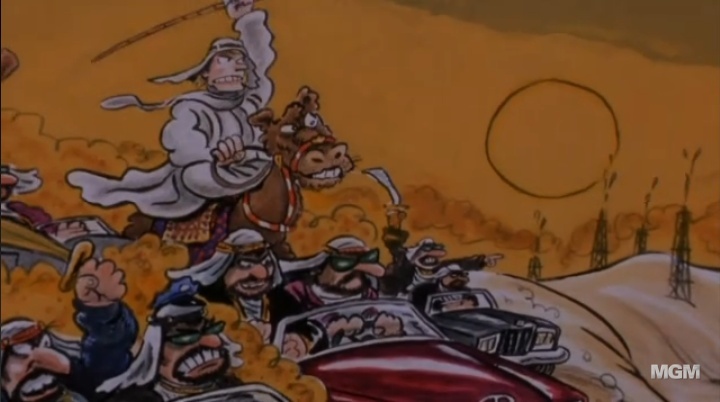 This is an image showing terrorists riding camels, and 4x4 vehicles. Notice the sun symbolism in the back? I do! This is a very subliminal message on so many levels. I have no idea what the true meaning of these images are but they are definitely very weird and should be in the mind of everyone. Please leave comments and let me know what you think.